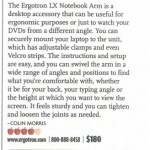 The $150 million computer accessories company Ergotron wanted to do more than compete against rival consumer electronics firms . 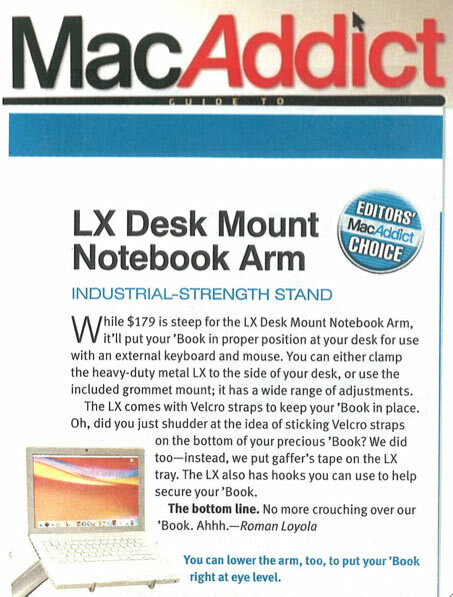 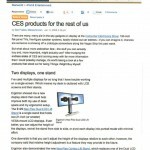 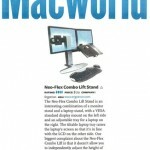 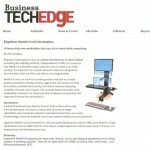 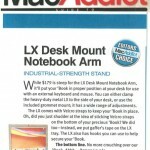 . . it wanted to transform the category of ergonomic computer mounts for Mac and PC users. 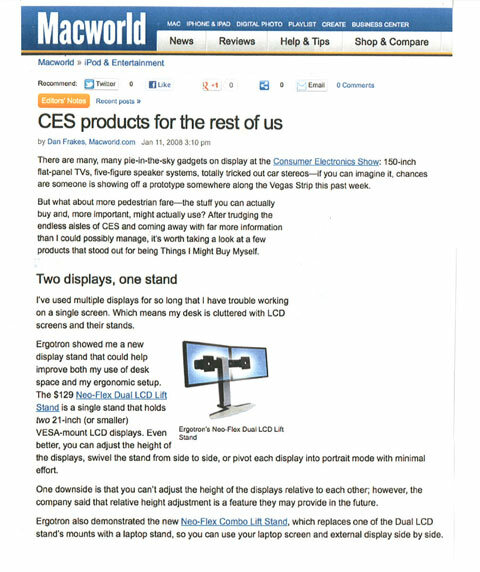 So, Maccabee designed a product demo strategy targeting computer magazine editors and bloggers. 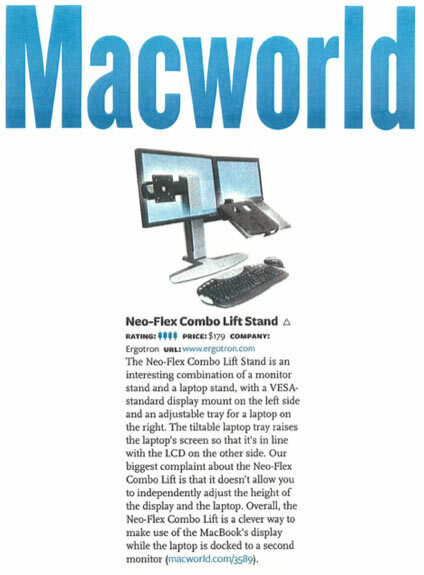 The PR blitz resulted in rave reviews from MacAddict magazine (which gave Ergotron’s products an Editor’s Choice Award) to a four out of four rating from Macworld, along with praise from PC Today, PC World and PC magazines. 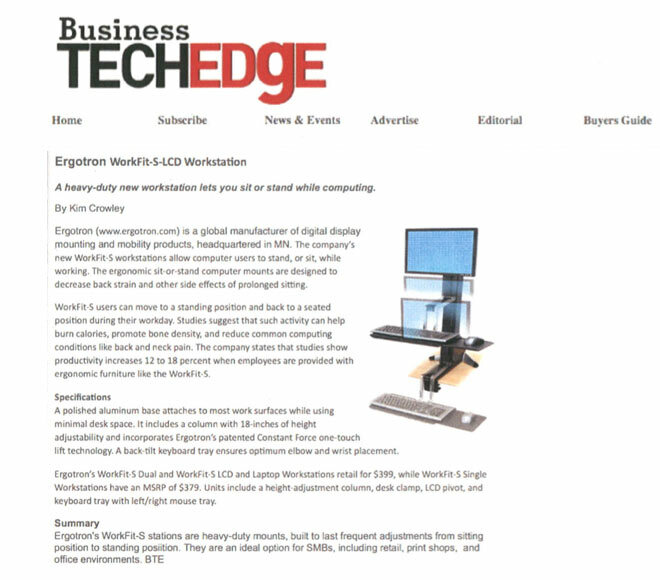 Trade media outreach drove additional visibility for Ergotron in vertical industries from law enforcement (Officer.com) and Research and Development (Lab Product News) to retail (Digital Signage Quarterly), hospitality (Quick Serve Restaurants), law firms (Legal Technology Product News) and education (THE Journal). 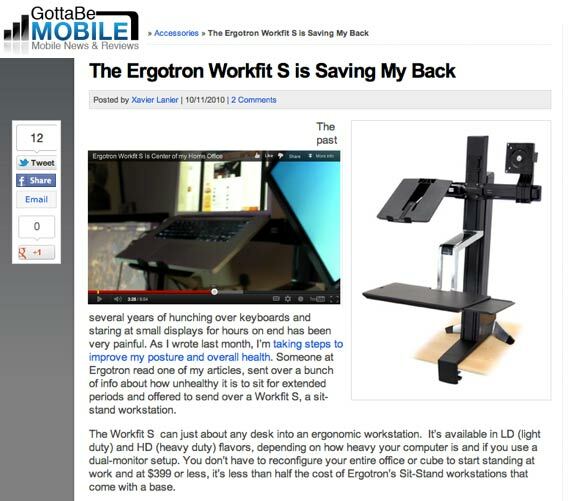 When an Ergotron-commissioned survey found that three out of four employees at companies wished they’d didn’t have to spend their working hours sitting, and that 25% had sought medical treatment for issues relating to their sedentary office lifestyle, Maccabee helped Ergotron launch a national “Uprising” campaign that kicked off with the survey data being featured in Laptop magazine. 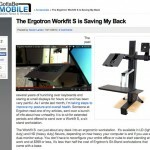 Calling upon employees to demand the freedom to sit or stand at their desk as they chose, Maccabee sparked coverage from Office Professional and Employee Assistance Report to consumer blogs such as The Gadgeteer and Notebooks.com. 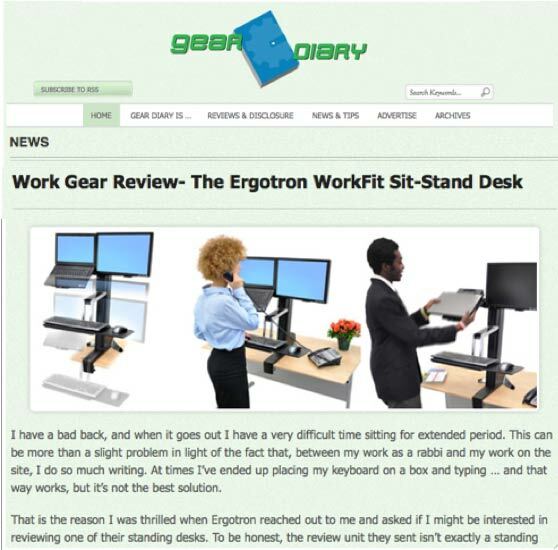 GottaBeMobile’s blog review cheered, “The Ergotron Workfit Is Saving My Back” and About.com/Ergonomics raved, awarding the WorkFit a five out of five rating.